New year, new features! 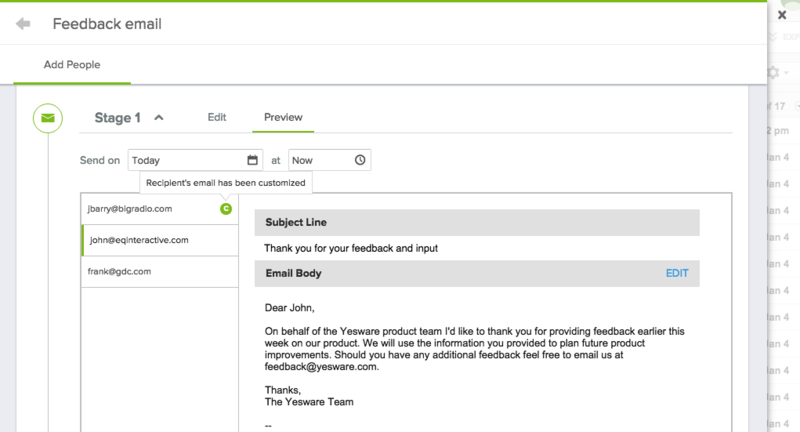 We’re ringing in 2016 by releasing two exciting product updates, including the ability to customize mail merges by recipient, and 180 days of searchable tracking data available in the Yesware Personal Tracking Report. Each prospect is different, and your mass missives need to add value and stand out to each one. Now, you can modify the standard message for each recipient at any stage of your mail merge. Once you’ve modified and saved your message, a green “C’ icon should appear next to the recipient’s name. 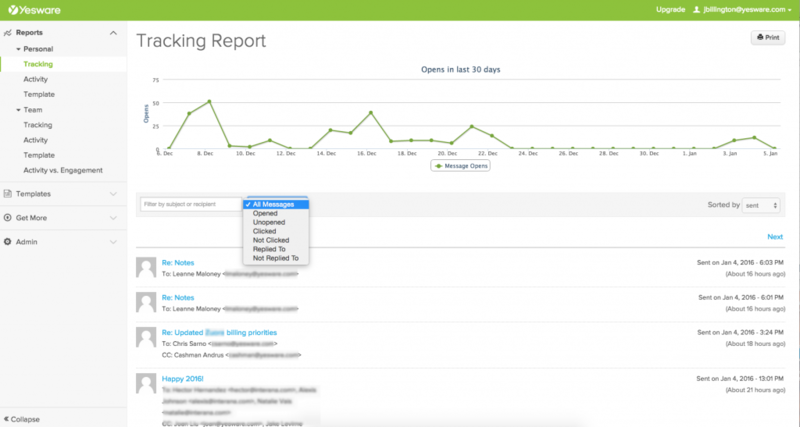 Now, you can access to up to 180 days of email tracking data in the Yesware Personal Tracking Report. View your email opens from the last 30 days in the Tracking Report graph, or click the “All Messages” button to sort email tracking data by “opened,” “unopened,” and additional filters.